I’ve been going to the Consumer Electronics Show for almost 45 years. Without fail, two questions always emerge when looking back on what was shown and discussed each year. First, what do the acronyms and numbers really mean? Second, is the product, service, or concept described or represented “real?’ Put another way, does a new product or technology represent “hype or hope” for consumers? First, a little context about the pure immensity of International CES this year. There were more than 4,500 exhibiting companies, including a record of more than 1,200 startups. It was claimed that more than 20,000 products were launched, and that over 180,000 attendees, including 6,500-plus media people such as yours truly, prowled the massive halls of the Las Vegas Convention Center, Sands Expo, and other venues. For the record, no accounting was made of the miles walked (I did a total of over 30) or the number of colds caught. Given those stats, it is hard to summarize such a mammoth event in the few words possible in this report, so to give you an overview and taste of what was there, as well as some thoughts as to what is real, and what is still something that you should wait for, let’s review a few “numbers”: HDMI 2.1, 5G, Wi-Fi 6, and 8K. Making its third CES appearance in 2019, some were beginning to wonder if the newest version of HDMI would remain in the category of “hype.” Doubters were disappointed, as we finally saw TV sets from major brands that will soon be available with HDMI 2.1 connectivity. The 8K sets from LG, Samsung, and Sony all touted HDMI 2.1 with full 48Gbps capability. In addition, there were some 4K sets that also included HDMI 2.1, but not necessarily with the full 48Gbps spec. That is where a fine-tooth comb is required to separate the hype from the hope. As has been the case for HDMI 2.0, and HDMI 1.4 before that. The numerical designation means that some, but not necessarily all, of the total package of features in the standard are available in a given product. To my mind, the availability of “enhanced Audio Return Channel (eARC) is the real hot button. 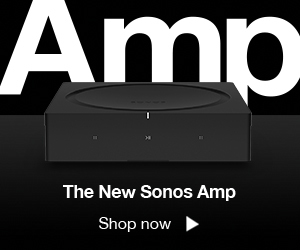 eARC enables full bitstream audio, including Dolby Atmos and DTS:X to be carried back from the streaming services played in a TV back to a soundbar or AVR without any further connection. Additional new features, such as Variable Refresh Rate (VRR) and Auto Low Latency Mode (ALLM), will benefit gamers and more compatibility for Dynamic HDR, high bit-rate color, and Rec 2020 color will benefit 4K sets as well as new 8K models. 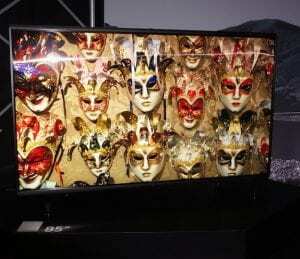 While there were TV sets, also known in HDMI parlance as “sink devices,” with HDMI 2.1 connectivity, there were no HDMI 2.1 source products shown at CES either on the show floor or even in those mysterious back rooms. As to the middle part of the HDMI signal path, “receivers” such as AVRs and surround processors, there were some with eARC, but on display with the full 48Gbps bandwidth. Hype? Not anymore! Hope? For TVs all you have to do is wait for the sets from your favorite brands to hit the shelves, and some are here, and more are due over the next few months. Hope? For source devices to feed 8K signals to an HDMI 2.1 sink, other than for the Xbox One with VRR and ALLM, hope is still the operative word. Since the first commercially available cell phones became available in the early 1980s, we’ve seen mobile communication technology advance through four major iterations, with the next one fast approaching. To recap, “1G” was the original analog AMPS system. “2G” was the original digital system that also brought us text and pictures. “2.5G” enabled web browsing, and “3G” sped things up to allow streaming and faster downloads. Today’s “4G” and “4G LTE” truly delivered mobile multimedia with still higher speeds. 5G phones were shown as prototypes, these using new chips from Qualcomm. Though it has been in tests for a while, the coming out party for “5G” will take place at Mobile World Congress in late February. 5G will not only deliver up to 1Gbps, but it will do so with extremely low latency while greatly increasing the number of simultaneous streams. With 5G, the goal is not only to provide lightning-fast mobile communication, but also to bring us fixed wireless that is over so-called “fiber without wires” and “vehicle to everything” (V2X) that will become an important part of facilitating autonomous vehicles and much, much more. So, post-CES, is 5G “hype” or “hope?” The answer is actually a bit of each. Although some 5G rollouts are underway, it is still in the very early stages. 5G phones were shown in a number of booths, but in prototype form only. 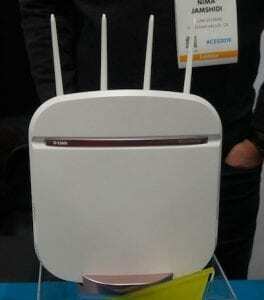 5G mobile hotspots and access points were also on display with their manufacturers saying they will be available soon. Demos from major chip suppliers, such as Intel and Qualcomm, had impressive displays. So, which is it? It’s hype until you can buy more than fixed-wireless 5G from Verizon and AT&T deployments in selected test markets. Later in 2019, the number of 5G cities will grow, which will remove “hype” status. More than anything, the major takeaway from CES is that while consumer products with 5G are at a very early stage, this is one number you can almost certainly bet on. To date, we’ve all become familiar with the various generations of Wi-Fi technology by letters following the underlying number 802.11, which is the base IEEE standard this technology’s protocols are based on. Over the years we’ve seen the original 802.11 use the suffixes “a”, “b”, “g”, “n”, and then on to “ac” and, now, 802.11ax. Each new standard added things such as additional frequency bands, higher throughput capability, lower error5 rates, the ability to use multiple input/multiple output (MIMO) antennae and more. This new “Wi-Fi 6 Certified” logo replaces the older logos that had an alphabet soup of different standards. Count those iterations up (not counting the other designations that described minor improvements or tweaks) and you get a total of six. Thus, to avoid confusion for the more technophobic among us, the Wi-Fi Alliance has changed their designation system. The first three standards remain with alphabetic suffixes, but 802.11n is now Wi-Fi 4, 801.11ac is now Wi-Fi 5, and, you guessed it, the latest 802.11ax is Wi-Fi 6. Hype or Hope? This one is real. Hopefully it will make things easier for consumers to see if they are using or buying the “latest and greatest.” Hype or hope? More than a few of the major wireless access point suppliers had Wi-Fi 6 gear on display and it should be available very soon, if not already there as you read this. Large screen size 8K sets from Sony and LG will soon join Samsung in the market. After two previous CES events where 8K was hype, CES brought it from hype to hope to reality. 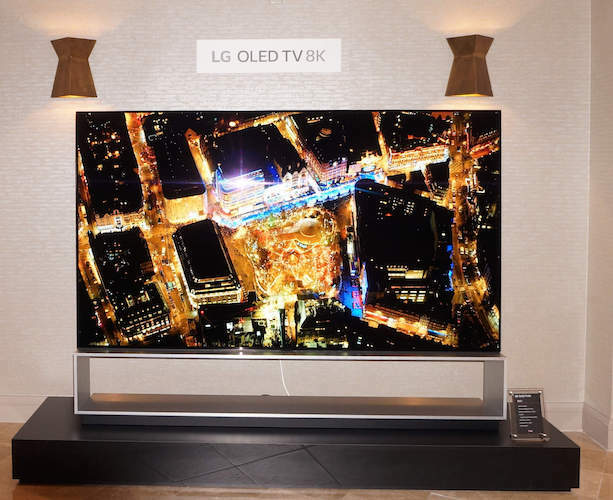 Samsung already has 8K sets in the market, and they will be joined before the end of the year by models that were on display from LG, Sharp, Sony, and TCL. Additional brands showing 8K models included Changhong, Hisense, Huawei, Konka, and Skyworth, to name a few. However, we’re not quite totally past the “hope” stage just yet. For now, the main benefit of 8K displays is their ability to show incredibly stunning images, thanks to advanced AI technology. To some early adopters that alone may be enough. As an example, according to Tom Campbell, corporate director of LA-based Video & Audio Center, many of the more than 100 8K sets that his stores have sold have gone to entertainment industry people who use the AI upscaling to get a closer look at the content that they are creating. But what if you want to view or make your own 8K content? For 8K content creators, one possible ray of hope was a consumer-configured 8K camcorder from Sharp. Aside from some 8K content on YouTube, that is mostly still hope. In an interview with a representative of the Blu-ray Disc Association, no current plans for an optical-based 8K playback format are on their horizon right now. 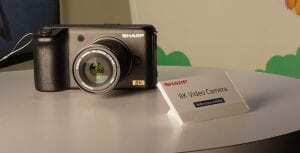 One possible ray of hope was a consumer-configured 8K camcorder from Sharp. However, market plans and pricing are not available as that brand works on timing for a full reentry to the U.S. marketplace. 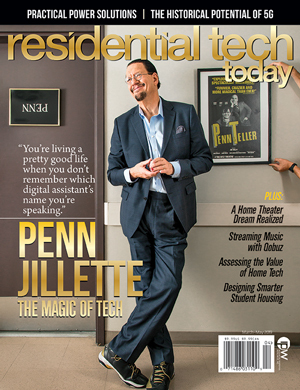 As mentioned at the start of this piece, it would take many volumes, or, if you will, many terabytes of data to fill you in on everything that was shown earlier this month at CES. As always, there was much hype, an equal amount of hope, but surprisingly there was a great amount of reality mixed in with both. Stay tuned, as there will be more in-depth coverage of the products and services shown at CES 2019 right here in the weeks to come.